Announcement: 2019 & 2020 Hunting Trips are Already Booking Fast, Call Us for Details Today! We believe we offer hunters an incredible opportunity to hunt Whitetail deer here in Montana. 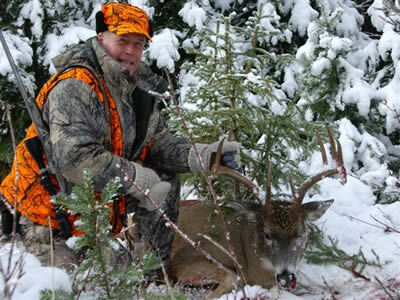 Our guided whitetail deer hunts are offered in one of two seasons, and we have several options. 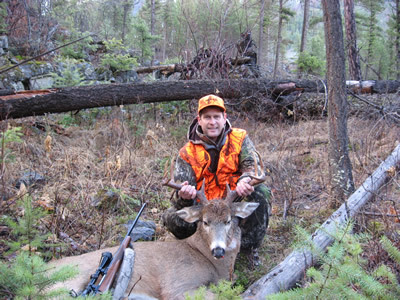 Hunting for Whitetail deer in the mountains of Montana is often done differently than Whitetail hunting in the Midwest or south. 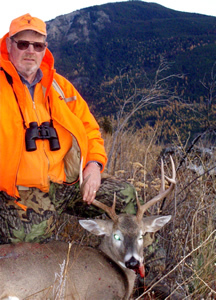 In Montana these deer can be either mountain whitetails or plains whitetails. 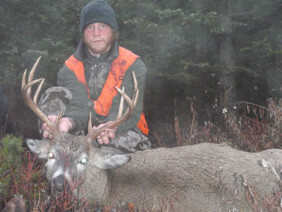 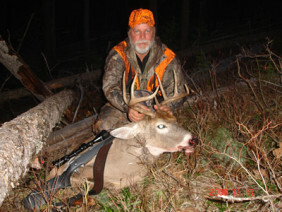 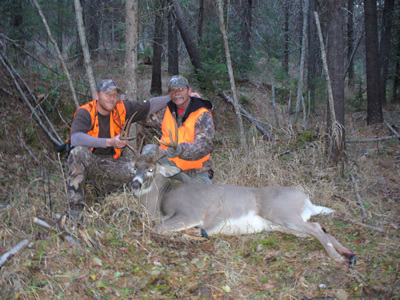 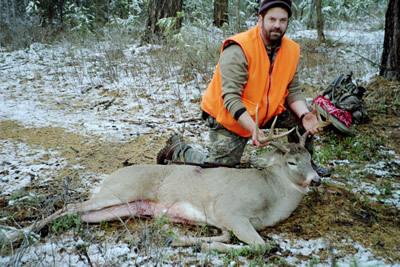 Swan Mountain Outfitters specializes in mountain Whitetail Deer. We hunt public land exclusively, in the mountains of Flathead National Forest in Northwest Montana. 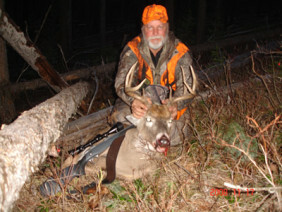 We offer guided archery hunting trips as well as guided rifle hunts. 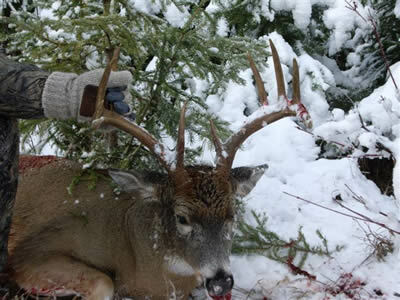 You can hunt Whitetail deer by horseback or you can hunt using stands and blinds. Hunters can elect to stay in the luxury of our lodge or in the traditional setting of our outfitters camp. 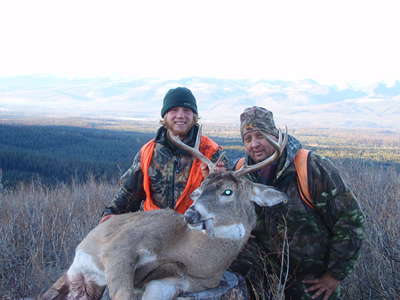 Whitetail deer in our part of Montana are typically found at the lower elevations around our base camp and throughout the Swan-Seeley Valley, you’ll find them in the foothills and clearcuts. 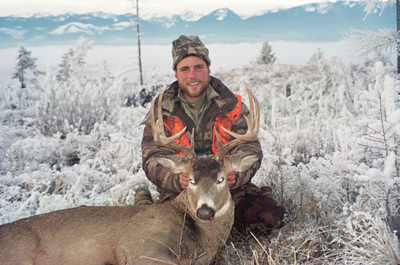 Whitetail hunting in Montana is very different from other areas of the country. 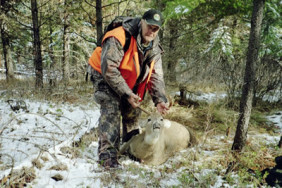 Because there is so much food and water in their natural habitat, you don’t need to pattern whitetail deer in Montana in the same manner as you would in other parts of the country; there are no acorns. 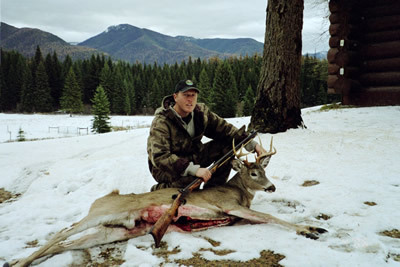 We have quality Whitetail deer hunting in Montana primarily because our deer, not being over hunted, live longer. 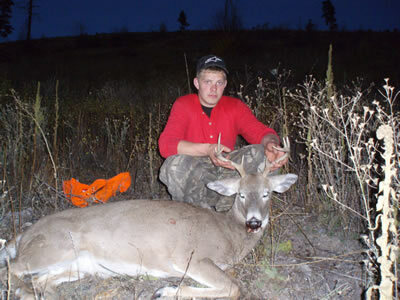 For example, it is possible to down a deer five years old or even older with much more developed racks. 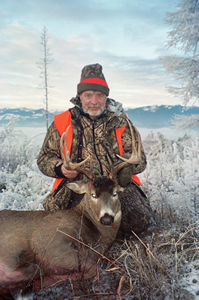 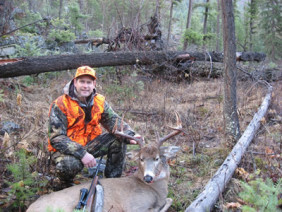 Hunters that enjoy archery hunting for Whitetails, will truly enjoy the hunting in Montana. We have thousands of acres of public land that we archery hunt. We have scouted the areas and have set up tree stands and blinds for our archery hunters. 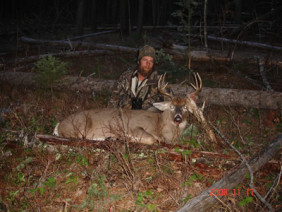 We can host you out of our base camp or lodge, your choice. Our archery hunts are one of more affordable hunts as we can service more hunters with one guide since the majority of the time is spent in stands or blinds. 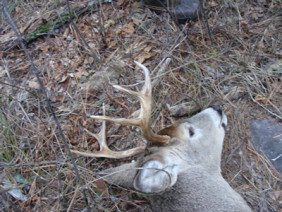 Spike Camp. 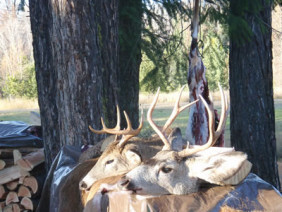 4 hunter minimum. Not Included in any prices above. 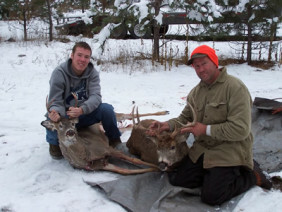 All prices subject to change. 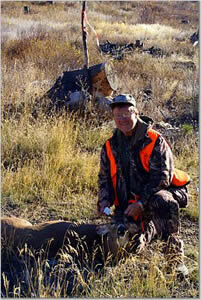 3% Administrative Fee: All multi-day trip rates will have an additional 3% administrative fee added per reservation. If you have any questions please feel free to call us at (406) 387-4405. Cancellation & Refund Policy: For all hunts, $1,000 per hunter is required to secure the reservation. 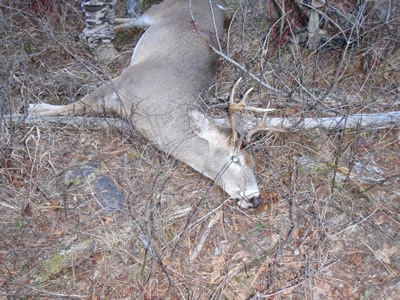 A secondary deposit of $1,050 is required no later than June 1st the year of the hunt. 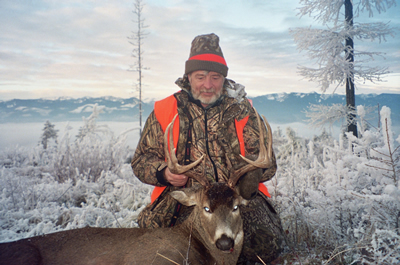 Both deposits are non-refundable. 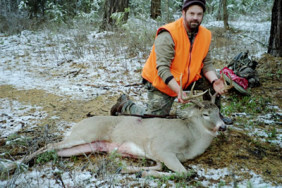 If you do not get drawn we will refund a deposit, but will not for any other reason. 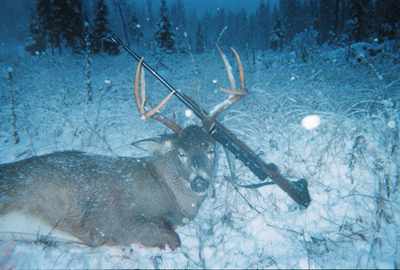 The remaining hunt cost is due upon arrival, and there are no refunds due to weather or not harvesting an animal. 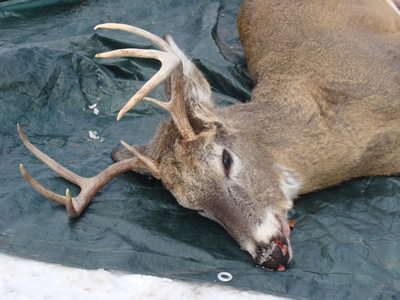 Since all of our hunts are free chase, there is a chance you may not see an animal during your hunt. If the thought of going home without of an animal is not palatable to you, do not book a hunt! Above prices do not include tags/licenses that are paid directly to the state of Montana, or a Hunter Defense Fund fee of $50 collected of all outfitted clients of Outfitter members of the Montana Outfitter & Guides Association for the purposes of defending nonresident hunting rights in the state of Montana. 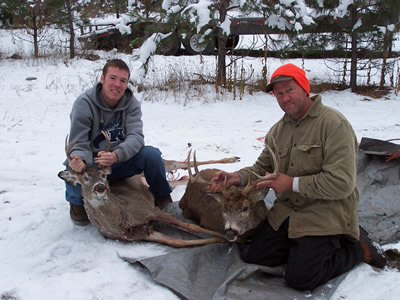 All hunts are offered under Montana License #11300, Patrick M. Tabor 26356 Soup Creek Road, Swan Lake, MT 59911 (406)-387-4405.